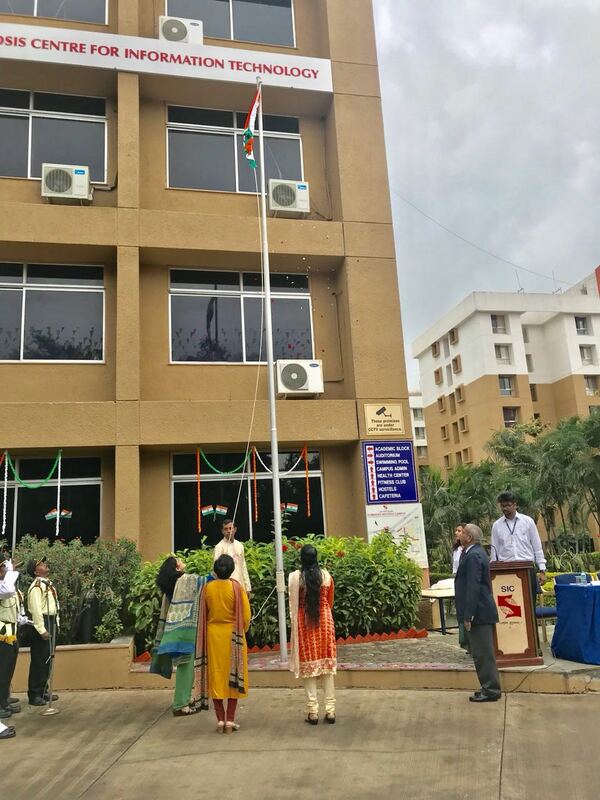 SIIB celebrated India’s 72 nd Independence Day on the 15 th of August 2018, along with SCIT andSCMHRD. 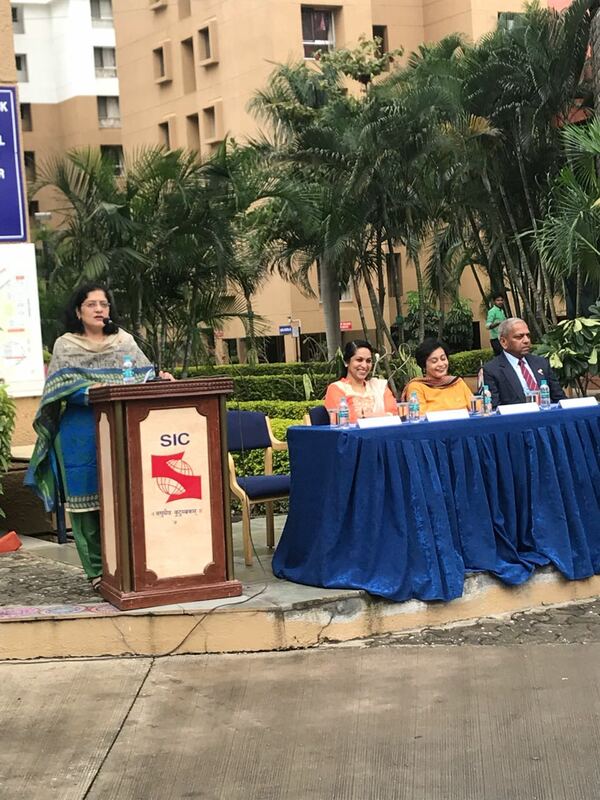 The occasion was graced by the presence of our esteemed director, Dr Asmita Chitnis and our Campus Administrator, Colonel Kadam. 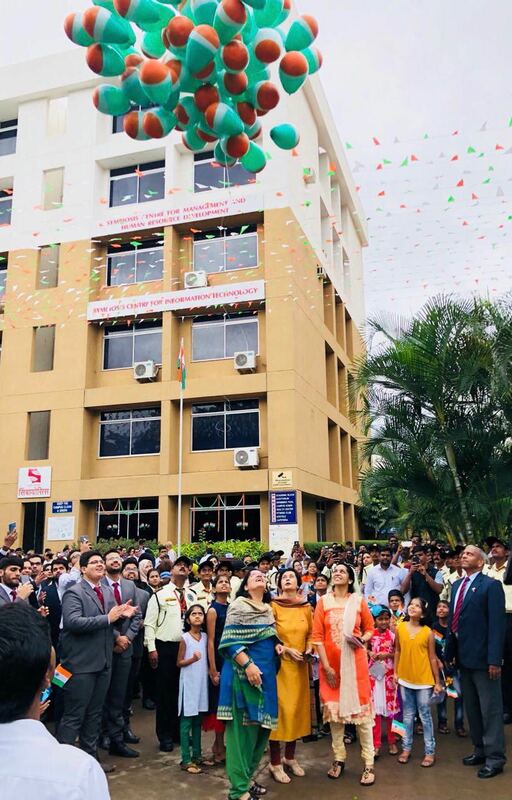 The day was made memorable by recognizing and thanking the efforts of our security guards, our housekeeping staff, our kitchen staff and drivers for their efforts and their service to Symbiosis University. This was followed by a patriotic song, and dance performance by the students of SCIT, and SCMHRD. The students gathered and sang the national anthem in unison. The celebrations came to a close with the ceremonial balloon release, by the Directors of the Symbiosis Institutes.